Trek manufactures High-Voltage Amplifiers, Piezo Drivers and Power Supplies for demanding applications. Trek also offers Electrostatic Measurement instruments for high performance applications including Electrostatic Sensors and Detectors, Electrostatic Voltmeters, Charged Plate Monitors, Surface Resistance/Resistivity Meters and Ionizers for electrostatic discharge (ESD) applications. 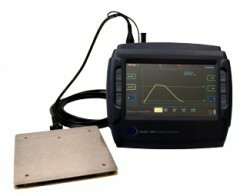 Markets served include Electrophotography, ESD, Piezoelectronics, Semiconductors and a wide variety of R&D applications.